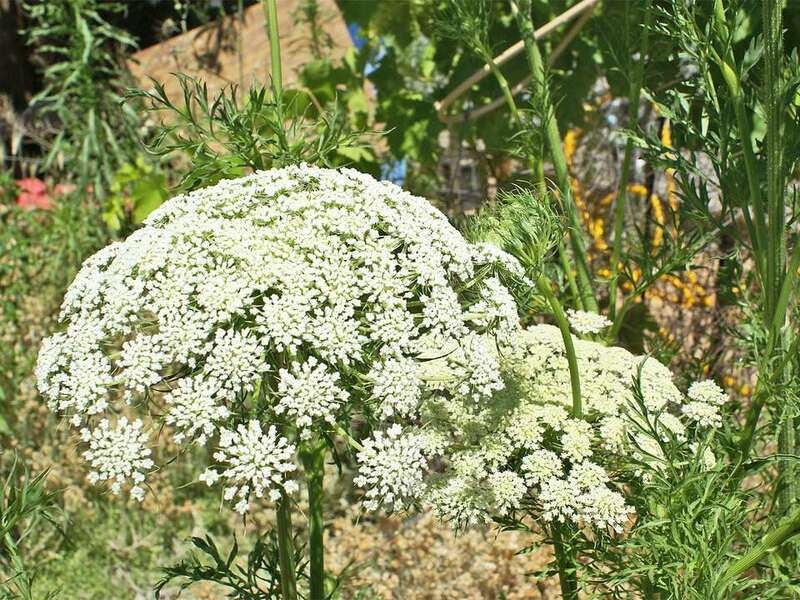 What to Do When Vegetables Don't Flower Their First Year. Ever wonder how anyone gets seed from vegetables like cabbage and kale, that never seem to flower? These vegetables, and several more, are biennials. They don’t flower until their second growing season. Since many of them cannot survive freezing temperatures, we never get to see those flowers. However we do get a full season to indulge in their delicious leafy growth. Usually. Sometimes plants think they have already been through one growing season and are entering their second. This can happen when we put seedlings out too early in the spring. It may be warm when we set out the seedlings, but if a sudden cold snap hits, it can feel like winter has returned. When the weather warms back up, the plants think it’s time to go to seed. It may seem counter intuitive, but larger transplants have the hardest time adjusting to temperature fluctuations. They have already started actively growing and are better suited to sending up flower stalks. A wiser choice is to start with smaller seedlings and harden them off slowly. All of these exceptions to the normal growth cycle of biennials can be frustrating to the gardener, but it makes it much easier to save seed. However we can’t always count on finicky weather. Saving seed from biennial vegetables takes a bit more care than saving seed from annuals and perennials. It also requires a bit of sacrifice, because you are going to have to leave some plants unharvested and allowed to go to seed. Don’t worry about them taking up precious garden space in the spring. If you’ve ever grown parsley, you know how quickly biennials go to seed in the spring. They’ll be out of the garden long before your peak season. If you live in frost free areas, you have it easy. Just let a few plants remain over winter. For the rest of us, here are tips for collecting seed from specific biennial vegetables. Think about which vegetables tend to still be standing in your garden each spring. There may not be many, but a few are hardy enough to tough it out: leeks, parsnips, and maybe carrots. These are all biennials and they are a good place to start, if you want to save seed. To better ensure their survival, mulch them with a thick layer of leaves or straw. Tucked under the mulch, and perhaps a layer of snow, they will be insulated from the temperature fluctuations and the soil’s freezing and thawing. And just wait until you see their flower stalks. Parsnip flowers can reach nose-level. Most biennial vegetables are too tender to survive a hard frost. They turn to mush and will never revive. They will need to be lifted and stored in a cold, humid location for the winter. A root cellar would be ideal, but most of us no longer have that luxury. Some seed savers create make shift cellars by digging a hole in the ground, down to the frost line. Line the hole with a thick layer of leaves, lay out the vegetable plants you are saving, then cover with another thick layer of leaves and refill the hole. Make sure you mark where you do this. An easier, but less reliable method is to store the plants in a cold cellar, garage, or storage shed. If you are storing them outside of the house, be sure to protect them from animal damage. I’ve used a large plastic bin, in the coldest part of my unheated basement. I pack the vegetables in sand, which I keep moistened, and I slightly vent the lid, to allow some air in. The really tricky part comes in the early spring, when my basement is no longer as chilly as it should be. If that happens, I pot up the vegetables and keep them growing in the basement, with my other seedlings. I will harden them off and move them out as soon as possible. Since you want them to go to seed, you don’t have to worry so much about fluctuating temperatures. However you don’t want them to freeze, so don’t rush it. Whatever method you choose, start with healthy, undamaged plants. A few nicks in a root vegetable is all it takes for rot to set in. Store several plants, so there will be enough flowers for cross pollination. It will also be easier to maintain enough humidity if you save several plants together. Lift the plants before a hard freeze. Try to get as much of the root ball as possible. Brush soil from the roots, but do not wash. Check them periodically, to make sure they are not getting moldy or drying out. It’s fine to remove some of the smaller roots, but do not damage the main root. Cut the tops down to about ½” of growth. Replant in the spring, with the crown at the surface of the soil. Lift the entire plant, maintaining as much of the root ball as you can. You can discard some of the larger, outer leaves, but leave the ball and crown in tact. Tight heads may need a helping hand, to go to seed. Slice an “x” int the top of the head, to encourage the flower stalk to emerge. Celery is pretty easy to over winter. Lift and keep the whole plant in tact. You can pack several plants together. They will look a little ragged by spring, but will bounce back quickly.